3. 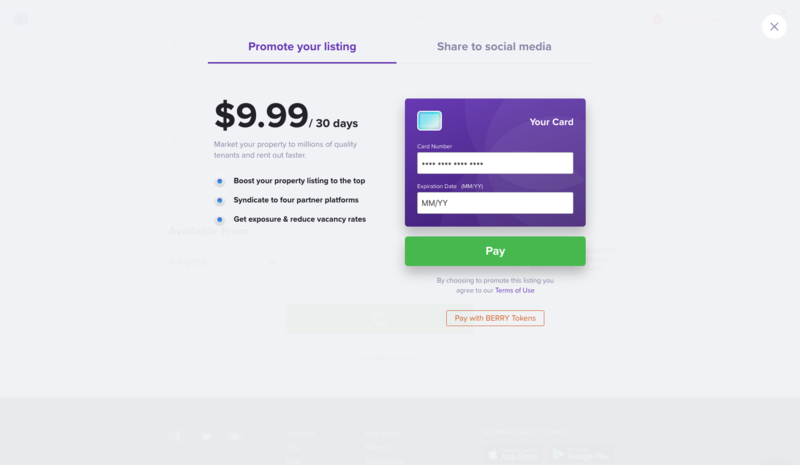 Choose the property you want to promote. 4. 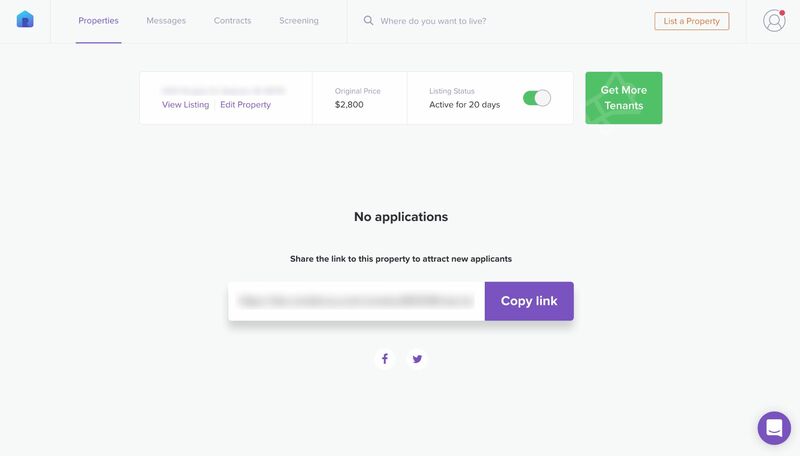 Click on the 'Get More Tenants' on the right side of your listing. 5. 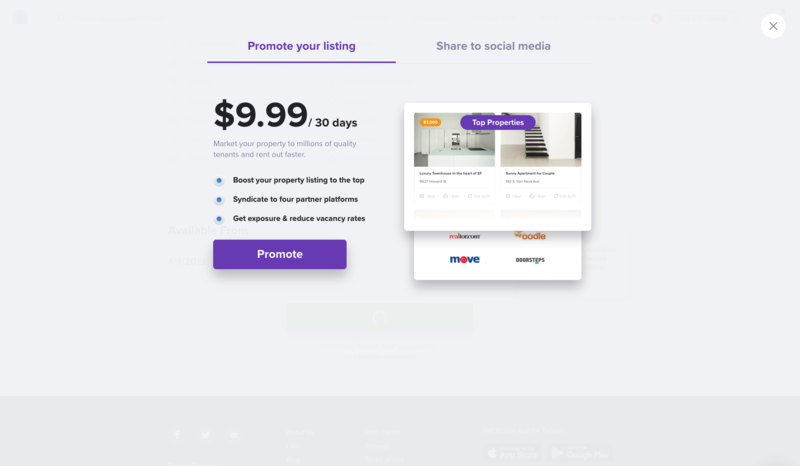 Click on the 'Promote' button. 6. Enter your Credit Card information and click on the 'Pay' button. 7. 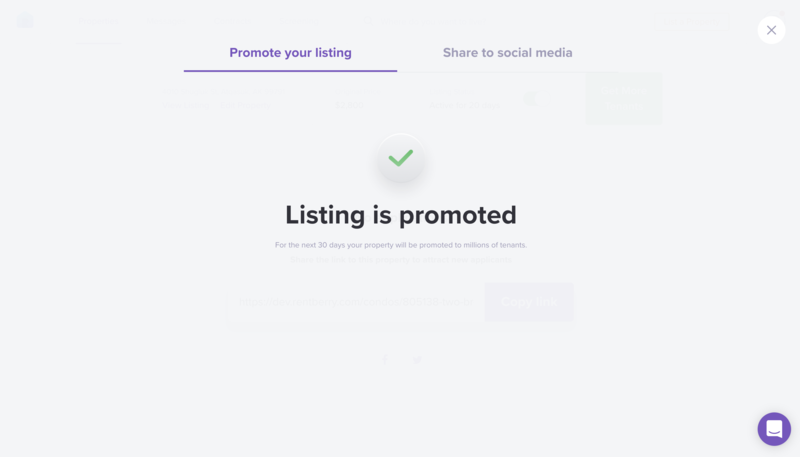 Your listing will now be on the top of the search results in your area on Rentberry platform. 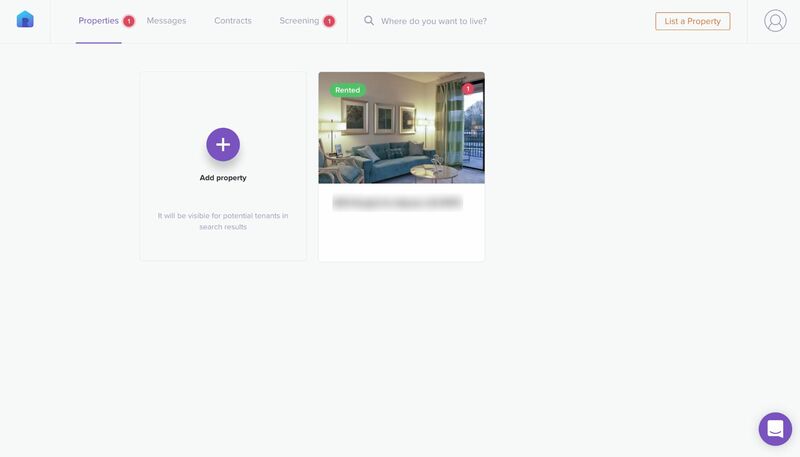 Your property will also be automatically syndicated to the big partner websites.